Are you looking for something interesting to do during staff meetings or in-service training? Learn which sustainability-related projects have the best cost/benefit and discover how to use these as teaching opportunities. We showcased our Sustainability in Schools simulation card game at the Summer Sustainability Sampler. The feedback was positive and we got some additional ideas for improving the game. It’s now ready for prime-time. We’ve been a good response from around the country. You can now download the game for free. It takes about 90 min. to play and then debrief to the point where you have an action plan for your school. Let us know if you want some help facilitating it or working on the sustainability-related projects that might come from playing the game. 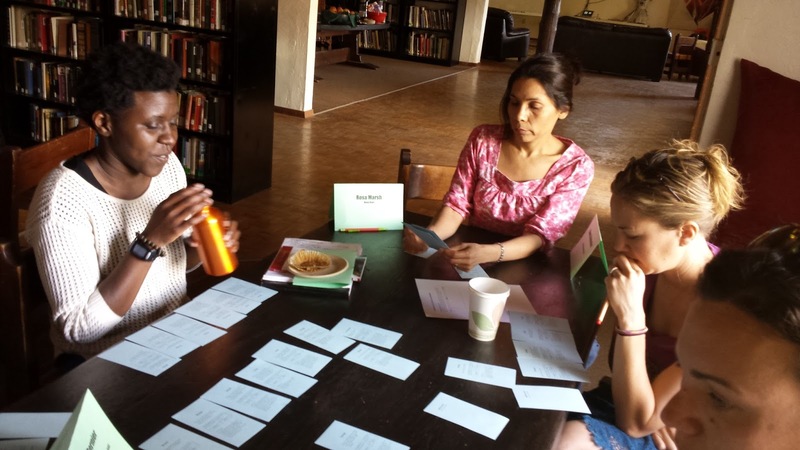 The photo on the right is from our Summer Sustainability Sampler event, one team playing the game. Go to the bottom of this page for the DOWNLOAD Link. 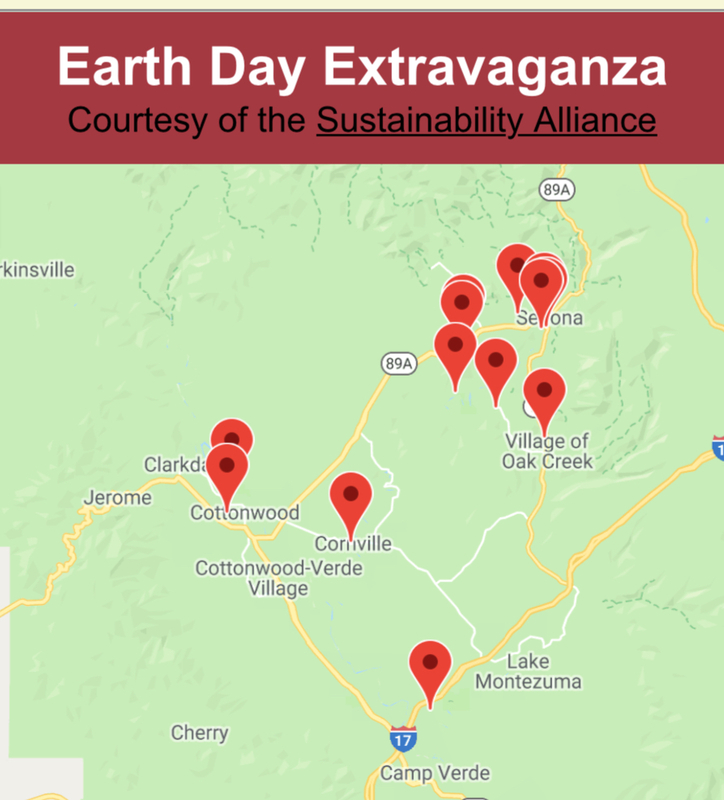 If you want to stay in touch with a growing cadre of people in the Education for Sustainability field in AZ (teachers and administrators as well as those who can provide free services to your school), join this GoogleGroup. You’ll be able to ask questions and share your successes with other like-minded educators in Arizona. We are also planning virtual and face-to-face meetings which many of the teachers asked for. When you sign into google, go to GoogleGroups and look for Sustainability Alliance Education for Sustainability. This should give you a way to ask to be added. If that doesn’t work, send me a request via email and I’ll add you manually. Also, be sure to sign up to get feeds from the Sustainability Alliance website. We will start posting success stories and tips for how to implement sustainability in schools. 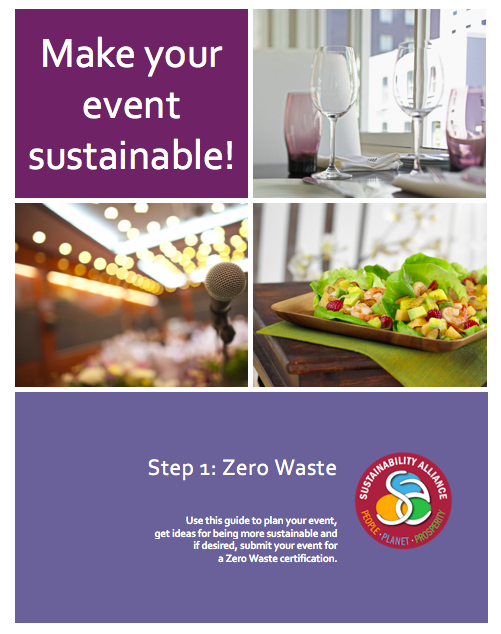 Go to http://www.sustainabilityallianceaz.org and look for the Follow By Email prompt on the right side of the website. Since most of the schools in Arizona don’t have a lot of bucks to develop sustainability-related lesson plans, we are considering designing a mobile sustainability classroom, a sustainability-related field trip that comes to you! Right now we are trying to find partners (e.g., teacher colleges that might want to help us design and deliver these modules). Do you think this would be useful? Please let us know if your school would want to be a pilot site. If you have other ideas for how we can support you, please share them!